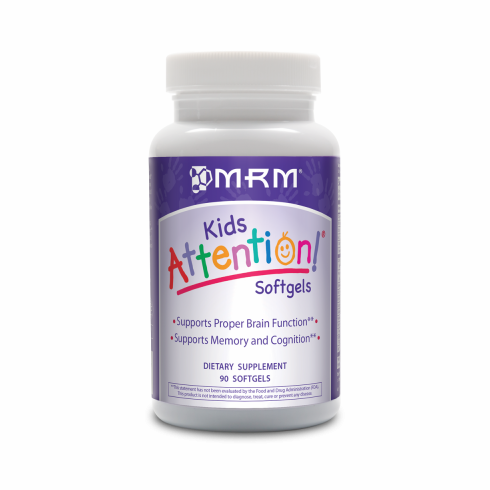 Attention Gels are a state-of-the-art formulation of nutritional components designed to enhance brain function and neural networking. By using specially processed marine oil containing 50% Docosahexaenoic acid (DHA) and a concentrated phospholipid complex containing 20% phosphatidylserine (PS) and choline, this formula helps replenish vital lipids, which make up much of the brain's composition. The amino acids, L-Tyrosine and L-Glutamic Acid, as well as neuro-nutrients, DiMethylAminoEthanol (DMAE) and Inositol, have shown benefit to neurotransmitter function. Gelatin, sesame oil & bees wax.